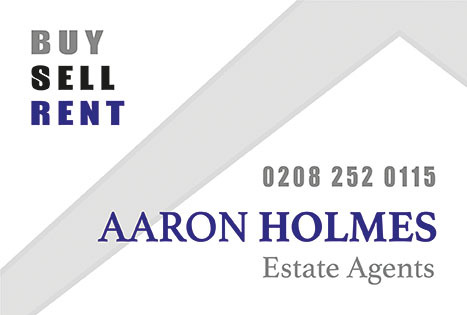 Aaron Holmes are pleased to offer to the residential sales market the opportunity to purchase this charming three bedroom family home, situated in a sought after location within walking distance to Gants Hill Central line Underground Station, local bus routes, shops, parks, schools and road and transport links to Central London via the M11, M25 and A4006. Internally the property has been well maintained throughout and comprises of an open plan through lounge, a modern kitchen with appliances, contemporary family bathroom, three spacious bedrooms, a rear paved garden and off street parking to the front. 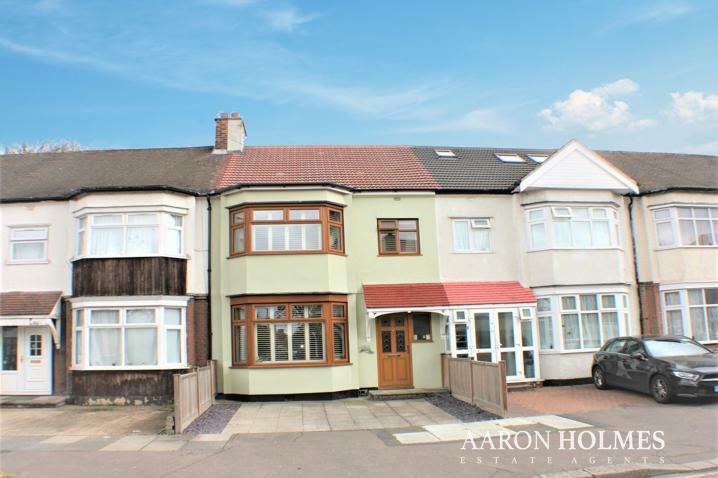 this property is ideal for a growing family who needs easy access to local amenities such as schools and transport links. coving to smooth finished painted ceiling, storage cupboard under stairs, radiator, wood effect flooring. Feature fireplace, dado rails, double glazed French doors leading to garden, wall lights and laminated wood effect flooring. Double glazed window to rear and door leading to garden, inset spotlights in smooth finished painted ceiling, wall and base units, stainless steel sink, built in stainless steel cooker with matching cooker hood, tiled splash-back, tiled floor. double glazed window to rear, corner bath, corner shower cubicle, tiled walls and floor, pedestal hand basin, smooth finished painted ceiling with inset spotlights, towel radiator. Bedroom One: 15'6" x 12'1"
Bedroom Two: 8'9" x 7'11"